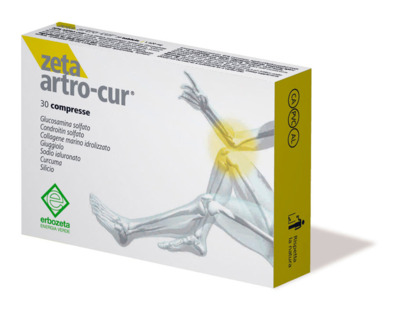 ZETA ARTRO-CUR® is a dietary supplement based on Glucosamine sulfate, Chondroitin sulfate, Hydrolyzed Collagen, Sodium hyaluronate and herbal extracts. Turmeric is useful to favour the joint function. Take one tablet a day, far from meals.